Take your gaming or bar area to the next level with this extremely high quality stained glass lighting fixture! 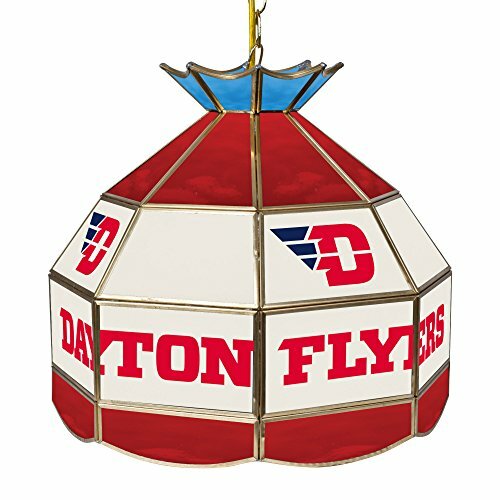 This University of Dayton 16 inch Diameter Stained Glass Tiffany Lamp is an incredibly high quality lighting fixture. Use for your lighting your Billiard Table, Kitchen Table or even your Dining Room Table. NCAA UNLV Tiffany Gameroom Lamp, 16"